3 Bdrm Semi-detached Dwellhouse. Ground flr: V/bule. Cloakrm with wc. Lounge. Dining kitch. Utility rm. 1st flr: 3 Bdrms. Bathrm (CT band - E). Garden. Parking. 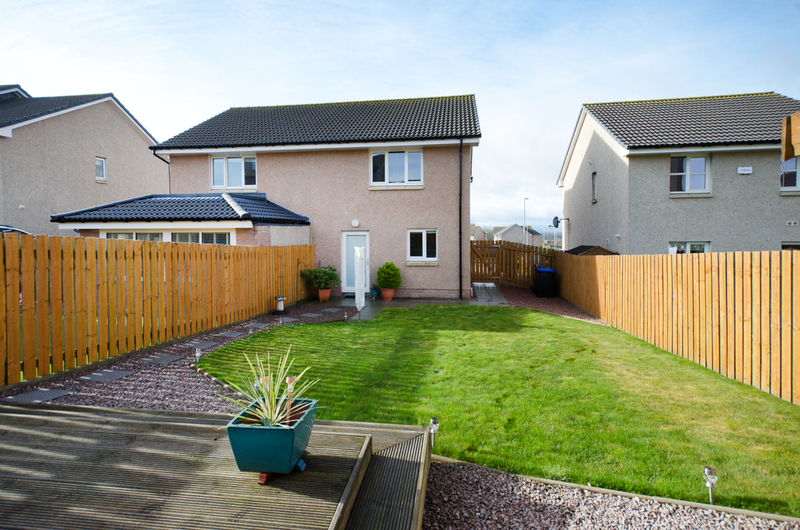 Fixed price £240,000 Entry by arr. Viewing 07810 443783. (EPC band - C). 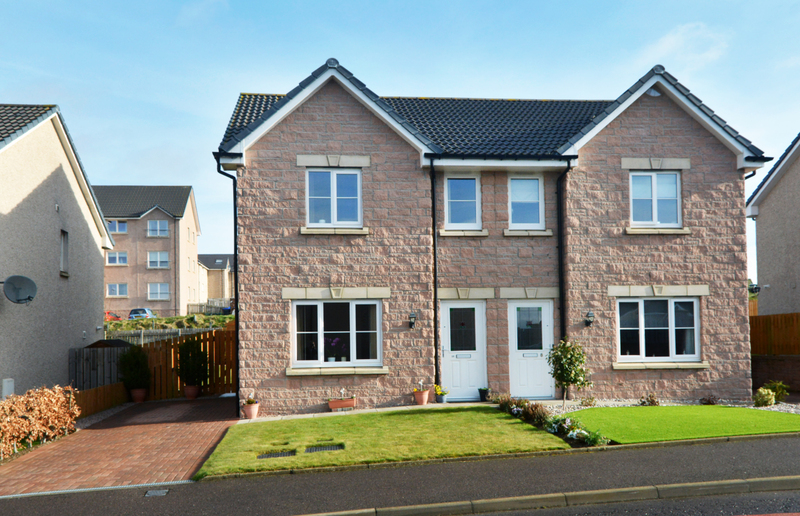 Immaculately presented three bedroomed semi-detached house with landscaped garden and driveway. 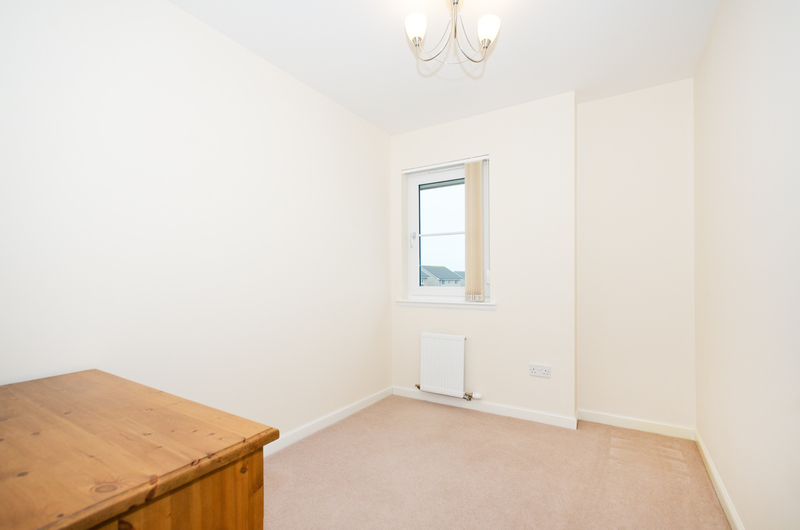 Ready to move into fully double glazed and gas central heated property. All light fittings, floor coverings, blinds, oven, hob and hood, washer dryer, fridge freezer, microwave and garden shed included in the sale. Extremely peaceful location within minutes of amenities and enjoys a very private aspect. Furniture available by separate negotiation. We are delighted to offer to the market for sale this fantastic three bedroomed semi detached property nestled in a lovely quiet street. 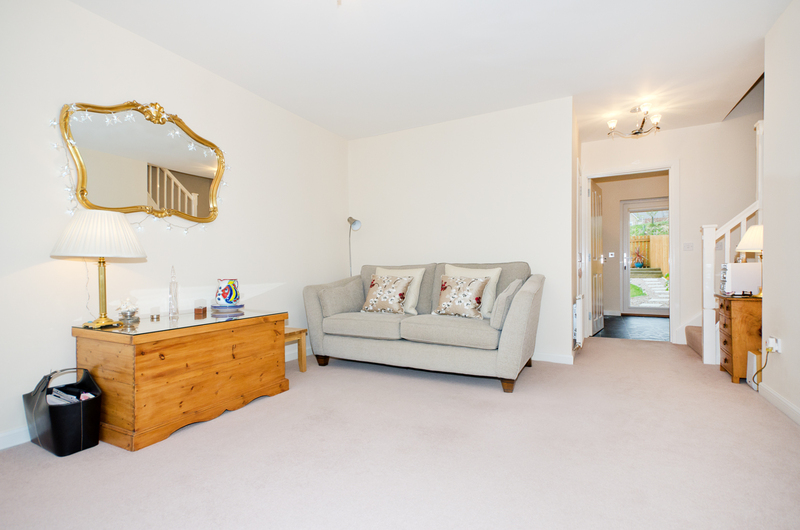 The property is beautifully and tastefully presented throughout ensuring the purchaser may move in with the minimum of fuss or expenditure. The property enjoys a large dining kitchen which has French doors overlooking the very private landscaped gardens, as well as good sized rooms throughout all presented in a pleasing neutral palette. Westhill itself is a very popular suburb a mere ten minutes drive west of the city. It enjoys a plethora of amenities including a Marks and Spencer, Tesco, Costa, post office, bank as well as many other convenience stores for both a big shop and everyday needs. There are plenty sporting and recreational facilities to hand including a swimming pool, squash club and golf course and excellent schooling at all levels. Early viewing is highly recommended. Vestibule: Enter through a part glazed white UPVC door into the light and bright entrance vestibule, setting the tone for the whole property. Cloakroom (6.1 x 3.6 approx.) 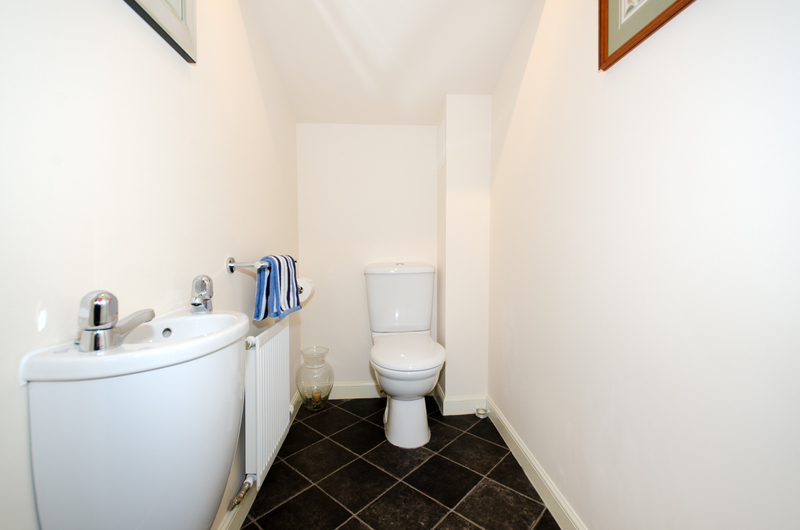 A fantastic addition to any home this good sized cloakroom is fitted with a 2 piece suite in white, the basin is wall hung giving a contemporary feel, and fitted tile effect flooring. Extractor fan. Lounge: (11.11 x 15.3 approx.) 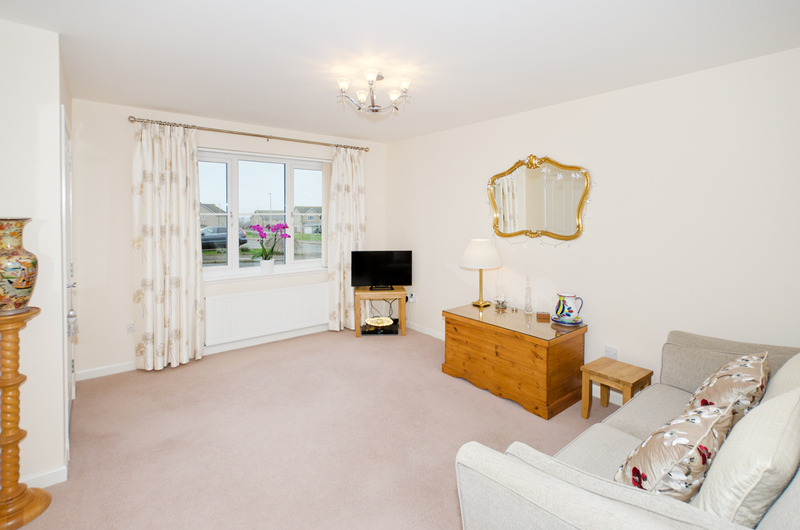 Really lovely lounge with a large window overlooking the front of the property which floods the room with natural light. It is well presented in pale tones with fully fitted carpeting. 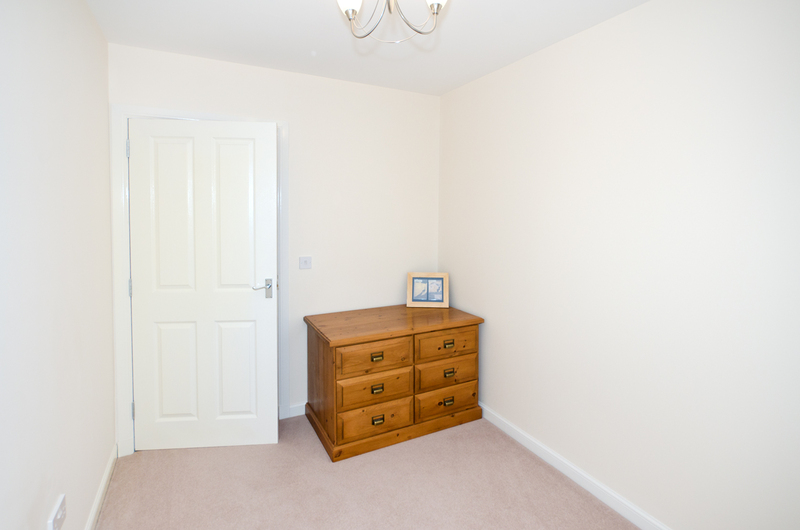 Ample space for a variety of freestanding furniture to suit. Please note the lounge curtains are available by separate neg and are not to be included as part of the sale. Dining Kitchen (15.8 x 8.2 approx.) 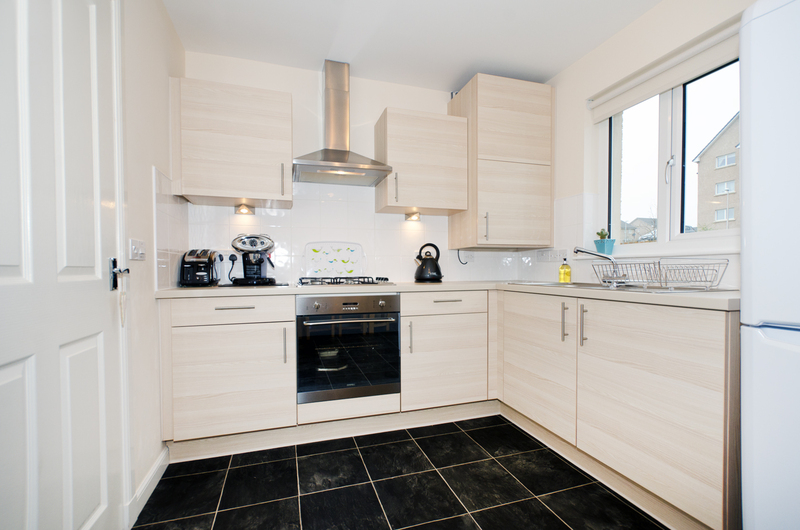 Spacious kitchen with plenty platinum ash base and wall units, and a good run of café latte high gloss counter tops offering ample storage. 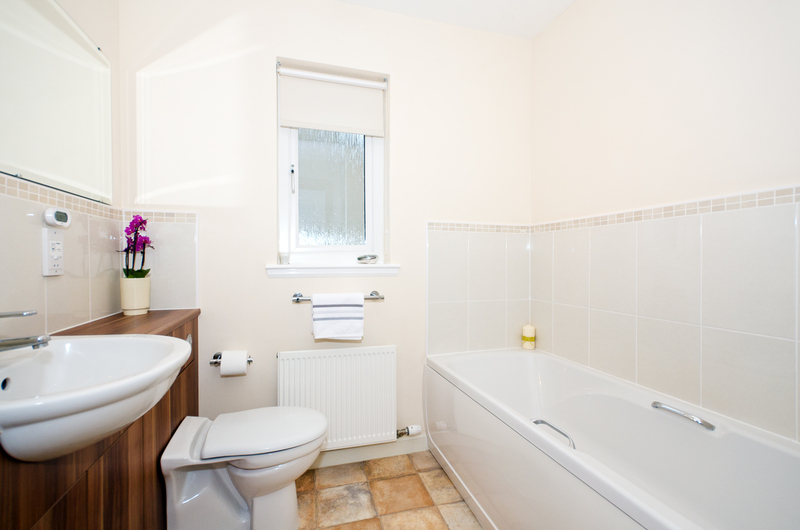 One and a half sink and drainer below the large window with garden views. There is ample space for a large dining table and chairs which is situated beside large French windows to enjoy the privacy and landscaped gardens to full effect. 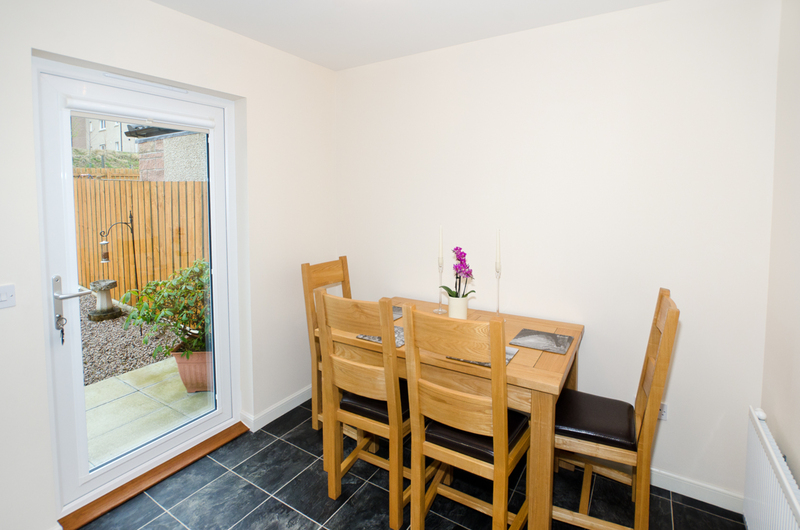 There is the option to extend the dining kitchen, with the necessary consents, to make an even bigger living space, whilst still retaining a good sized rear garden. 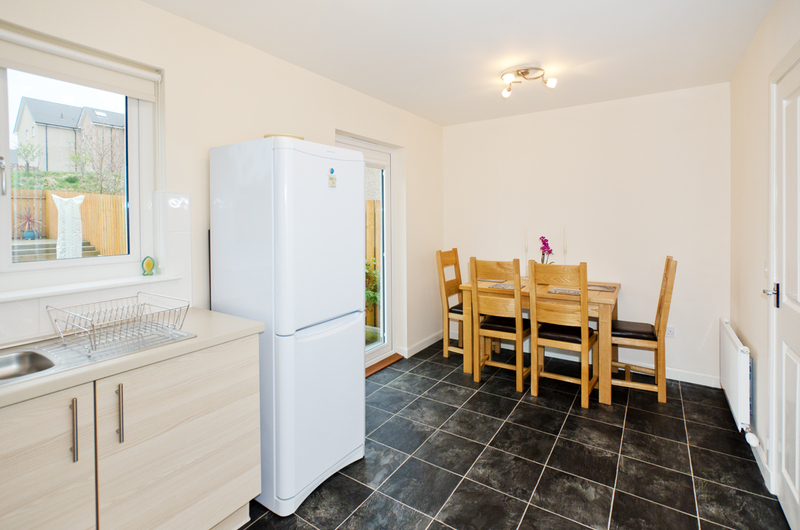 All white goods are included in the sale. Utility Room (4.11 x 7.10 approx.) 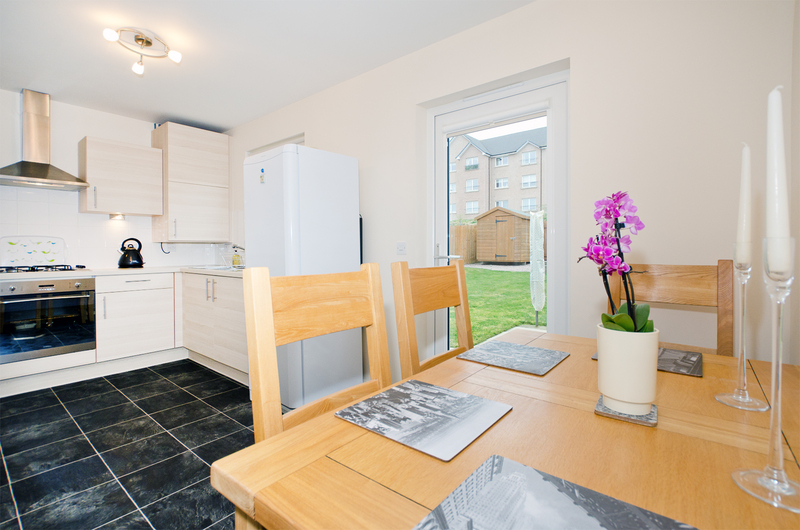 Wonderful asset which currently houses the washer dryer as well as offering excellent additional storage. Double bedroom 1 (8.6 x 12.4 approx.) 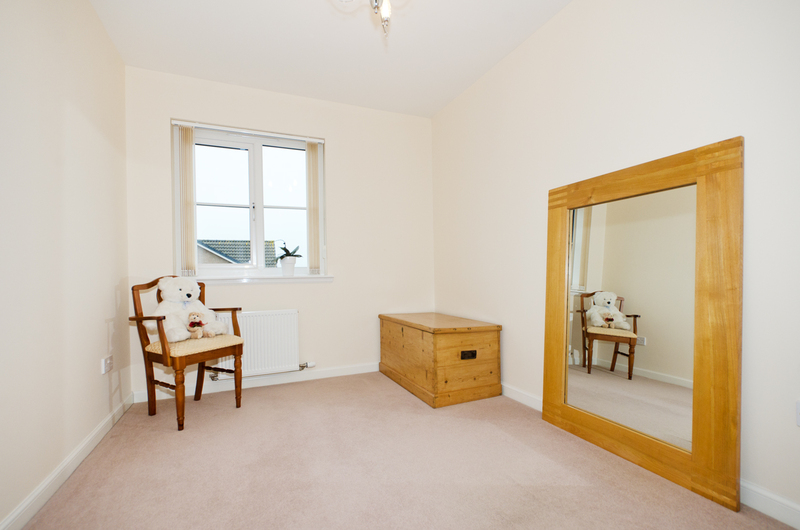 Spacious double bedroom peacefully located to the rear of the property. 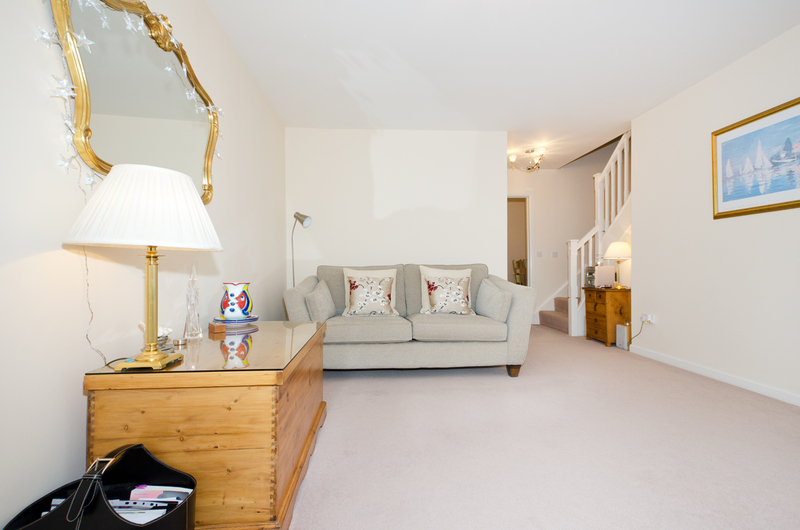 This tranquil space is well presented in warm ivory tones and fitted carpeting adds to the cosy ambience. 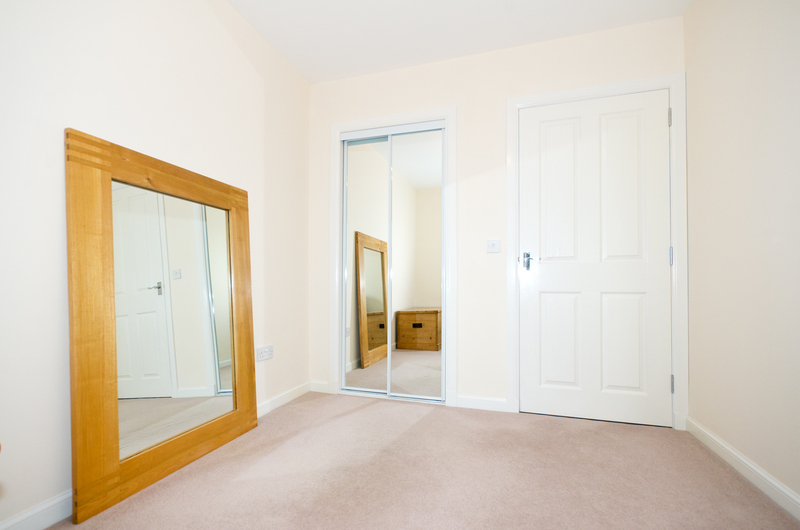 This room also benefits from a fully fitted wonderful walk in closet style wardrobe offering a fantastic amount of storage. Double Bedroom 2 (11.1 x 8.1 approx.) 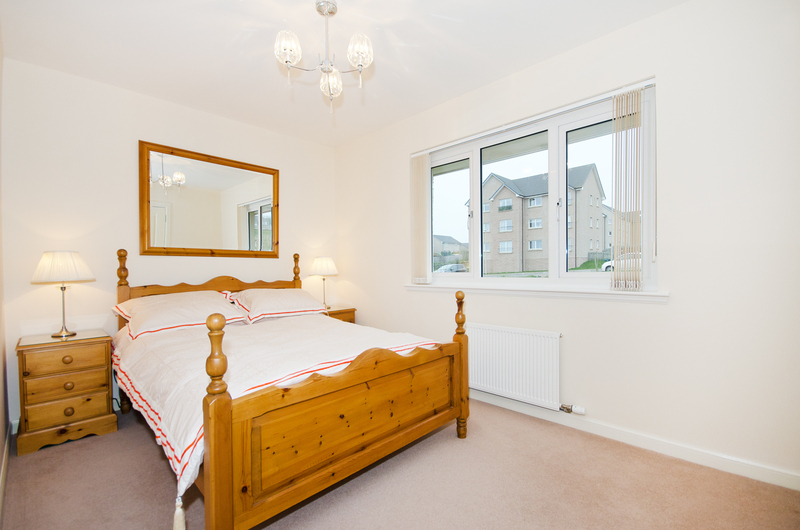 A second good sized double bedroom which boasts double fitted mirrored wardrobes and ample space for a variety of freestanding furniture. 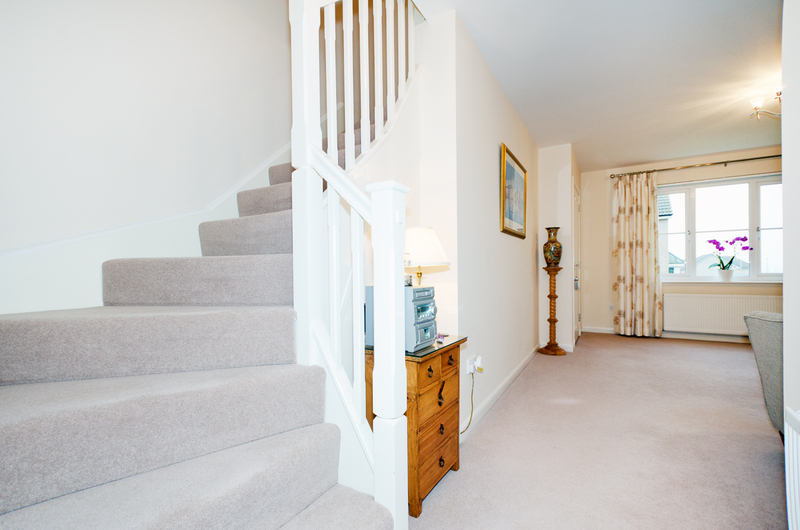 Again beautifully presented in neutral tones, with lovely soft and deep fitted carpeting. Double Bedroom 3 (11.1 x 7.4 approx.) 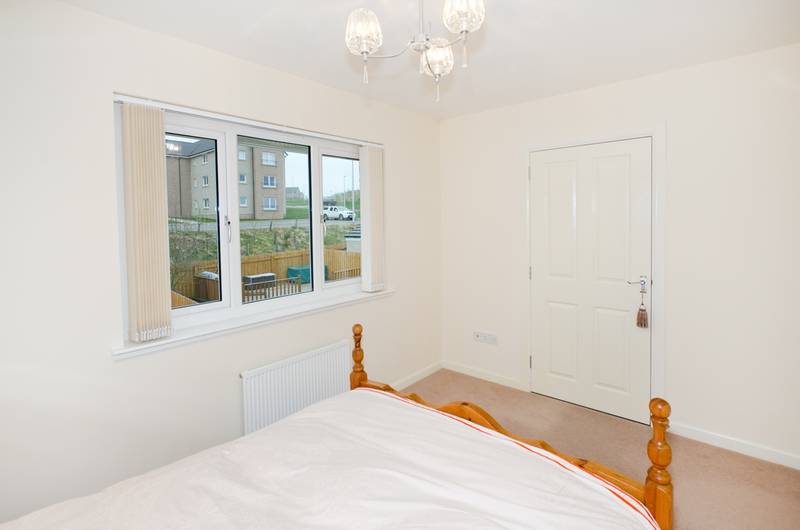 This third good sized double bedroom completes the sleeping accommodation and again continues the light and airy theme with soft fitted carpeting. Bathroom (6.5 x 7.1 approx.) 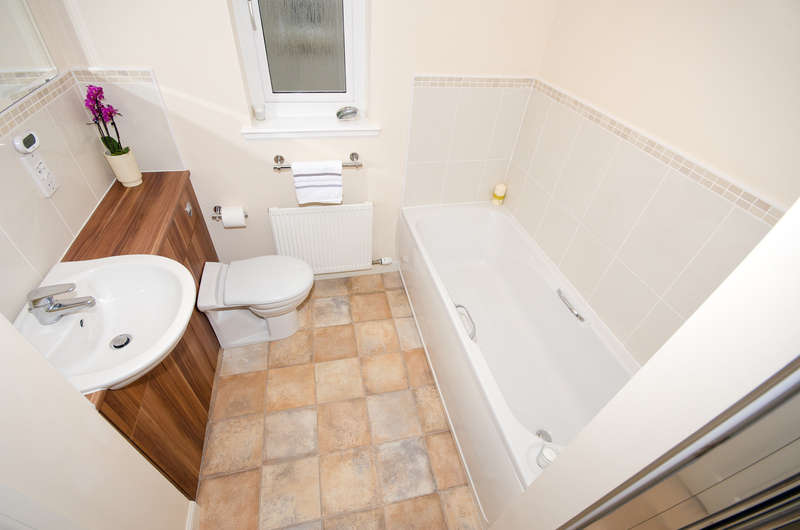 Fully fitted with a three-piece suite in white and separate mains powered shower in glass enclosure. Coordinating tiling throughout make for a stylish yet easily maintained room. The wc and basin are set within a lovely and spacious walnut vanity unit offering excellent storage. Large mirror to remain. Modesty glazed window. Extractor fan. Shaver socket. Outside: To the rear. 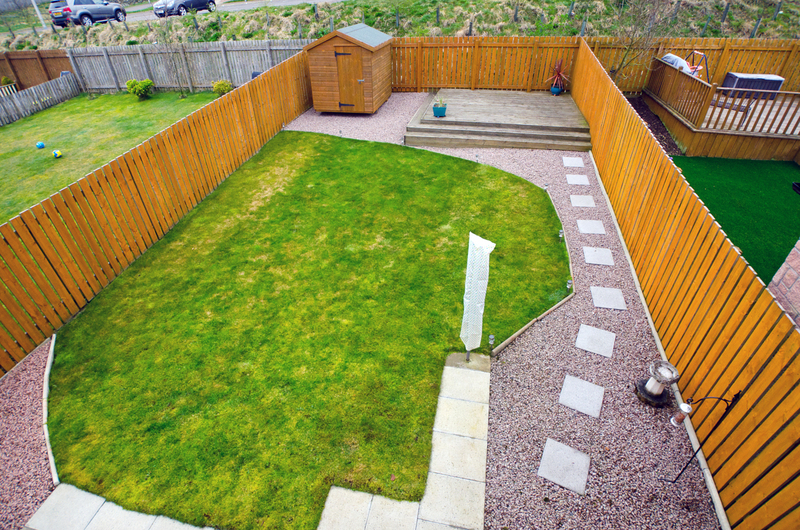 Lovely and fully enclosed rear garden which enjoys a super degree of privacy, perfect for animals or indeed safe play. 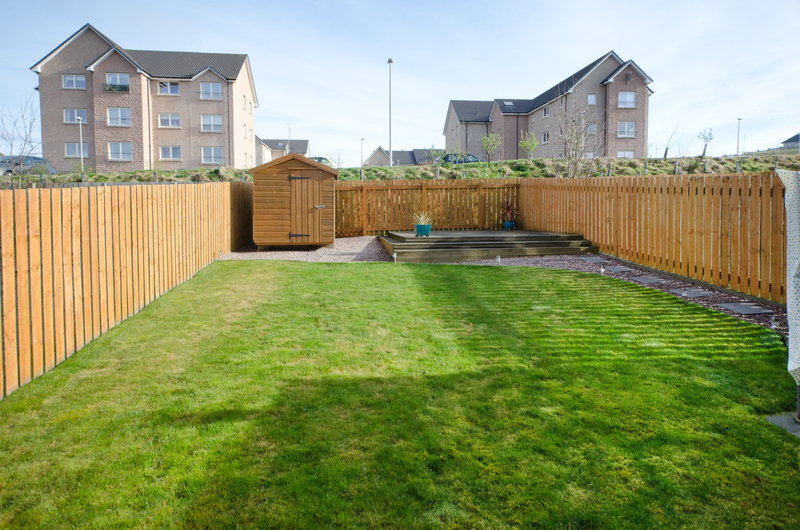 It has been beautifully landscaped, and enjoys a grassed area as well as a large decked area which is perfect for al fresco dining. Shed and rotary drier to remain. 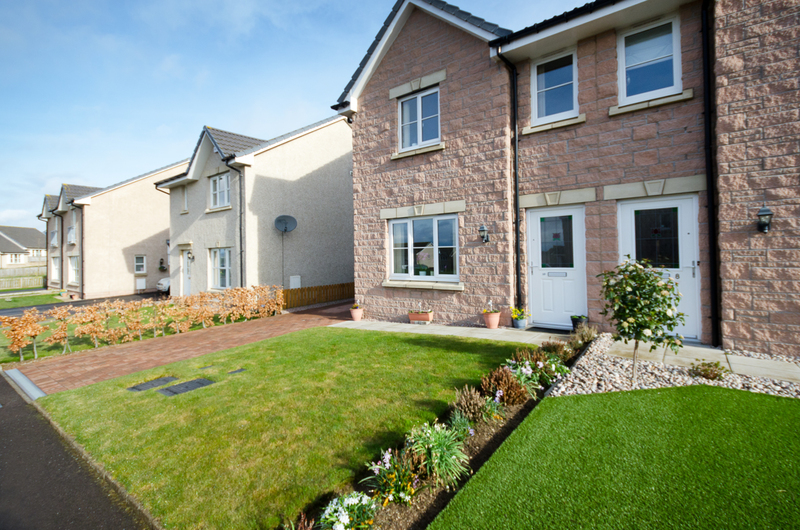 To the Front: Large front garden laid out in grass with beautiful border flowers and shrubs. Driveway with ample space for two cars and space for a garage, with the necessary consents, if desired. Directions: From Aberdeen, as you enter Westhill take a right at the large roundabout and at the smaller roundabout, take a left onto Old Skene Road. Carry on along this road until you come to a roundabout and take a right here onto Broadshade Road. Broadshade Crescent is 2nd on the left.